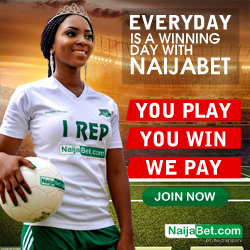 Bet9ja Codes And Their Meaning.before or after creating an account with bet9ja online betting site, as a beginner, there is need for you to to take your time to study the various bet9ja codes and their meaning, in order for you not to place bets on the wrong betting types. bet9ja codes and symbols is one of the first learning process you are espected to get familiar with since there are lots of them. some punters even confuse themself with bet9ja codes and their meaning, thinking they are placing bets on either double chance, handicap etc but rather they placed bets on the wrong betting types because some of the codes and meaning are confusing. this is why i want to take my time to explain it properly for you so you can understand what the various bet9ja options and meaning.once you understand bet9ja signs and meaning, you will get familiar with it even while using other betting site like nairabet, merrybet, bet365, surebet247 etc because you will come across such Betting codes and their meaning. most bet9ja customers are only familiar with home win (1), Draw (X), Away Win (2), handicap, double chance which are the top popular betting types but there are lots of them you can utilize and make use of to stake bets. 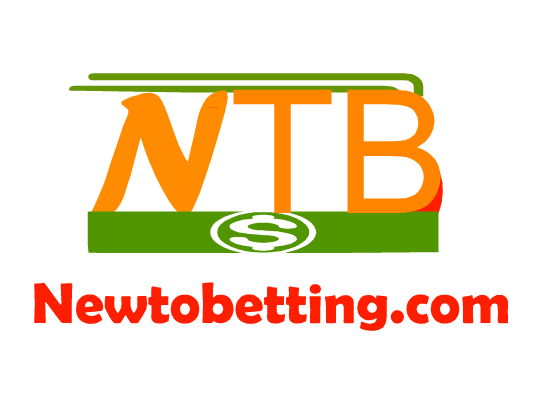 today i am going to share with you the various, bet9ja codes and their meaning. with the following bet9ja codes and their meaning, you will be amazed at the ample opportunity you are missing as a result of not utilizing the various options to place your bets. 1 > HOME WIN. when you select this game, it means that you are staking your bets that the home team (1) would win. X > DRAW. when you select this bet type, it means that you are staking your bet that the match will end as Draw full time. 2 > AWAY WIN. 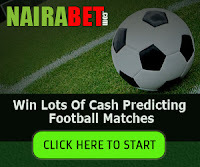 when you select this game, it means that you are staking your bets that the AWAY Team (2) would win the match. UN1.5 > UNDER 1.5 (LESS THAN 2 GOALS BOTH TEAMS) . this means that you are staking your bets that there will be less than 1 goal scored before the end of the match. if the game ended with only 1 goal score, then you win. but if the game ended with just 2 or more goals scored by any of the team, then you lost the bet. in other betting site the symbol may be O/U 1.5 together as usual. NG > BOTH TEAMS WILL NOT SCORE EACH OTHER. this means that you are staking your bets that both of the teams will not score each other before the end of the match. at least, the both teams should not score each other goal goal . simply put, the game must end in either 1-0, 2-0, 0-1 etc for you to win. only 1 team must score goal for you to win. in other betting site, you will see a symbol for both teams to score NG ( No Goal ). 1HT > HOME TEAM TO WIN FIRST HALF. this means you are placing your bet that the home team would win in first half. you win if home team win first half even if they ended up losing the game in full time. provided that the home team was able to lead the score before first half ended, then you have won even if the ended up lossing the second half. your major concern should be the first half score. no need to worry even if they lost the game at the end of the match. XHT > FIRST HALF DRAW. this means you are placing your bet that the both teams would Draw in first half. you win if both teams Draw first half even if any of them ended up winning or lossing the game in second half. provided that the both teams was able to Draw the in Score before first half ended, then you have won even if the ended up winning or lossing in second half. your major concern should be that the both of them Draw first half score. no need to worry even if any of the teams ended up winning or lossing the game at the end of the second Half. 2HT > AWAY TEAM TO WIN FIRST HALF. this means you are placing your bet that the Away team would win in first half. you win if Away team win"s first half even if they ended up lossing the game in Second Half. provided that the Away team was able to lead the score before first half ended, then you have won even if they ended up lossing the second half. your major concern should be the first half score. no need to worry even if they lost the game at the end of the match. 1ST > HOME TEAM TO WIN SECOND HALF. this means that you are staking your bet that the Home Team would win the second half. even if they ended up losing the game in full time, at least the home team should be leading only second half score. if for instance, the away team was leading in first half 0-1 and in second half, the home team scored maybe 1 goal and the game ended as 1-1, then the home team won second half because they scored 1 even if the game in full time ended as Draw 1-1. 2ST > AWAY TEAM TO WIN SECOND HALF. this means you are staking your bet that the away team would win only second half score regardless whether they ended up losing the game in full time. if they won only the second half score line, then you win the bet even if home team was leading the game in first half and eventually won it at the end of the match. for instance, if home team was leading in first half 2-0 and in second half, away team scored only 1 goal and the game ended in second half without home team scoring any goals which becomes 2-1, then the away team won only second half which automatically means that the second half ended as 0-1 even if the game ended as 2-1 in full time. your concern should only be that the Away Team Lead The score in second half without adding First Half Score to it. 1H ( HANDICAP 1:0 ) > HOME HANDICAP EITHER HANDICAP 1:0. this means they are giving the home team a goal ahead before the game starts. if you see handicap 1:0. this means you want to stake your bet that the home team will be giving 1 goals ahead before the game starts. this simply means the home team is leading by 1 goals ahead of the game. while if you see handicap 2:0, this means the home team is leading by 2 goals ahead of the game before it starts. in other betting site, you may see handicap -1 which means the team that has minus symbol in front of it is assume to be losing 1 goals ahead before the game starts. example of such, Crystal Palace - Manchester City (-1). this means that Crystal Palace is leading Manchester City by 1 goal ahead. it implies that Manchester City gave Crystal Palace handicap of 1 goal ahead of the game, so Crystal Palace is leading Manchester City by 1 goal since Manchester City has -1 in front of it. 2H (HANDICAP 0:1 ) > AWAY HANDICAP EITHER HANDICAP 0:1. this means they are giving the home team a goal ahead before the game starts. if you see handicap 1:0. this means you want to stake your bet that the home team will be giving 1 goals ahead before the game starts. this simply means the home team is leading by 1 goals ahead of the game. while if you see handicap 2:0, this means the home team is leading by 2 goals ahead of the game before it starts. in other betting site, you may see handicap -1 which means the team that has minus symbol in front of it is assume to be losing 1 goals ahead before the game starts. example of such, Manchester Utd (-1) vs Arsenal. this means that arsenal is leading manchester Utd by 1 goal ahead. it implies that manchester gave arsenal handicap of 1 goal ahead of the game, so arsenal is leading manchester by 1 goal since manchester has -1 in front of it. HS > HOME SCORE ( MINIMUM OF 1 GOAL FROM HOME). this means you are staking your bet that the home team will score at least 1 goal before the end of the match. this is self explanatory. HNS > HOME WILL NOT SCORE GOAL. this means that you are staking your bet that the home team will not score any goal before the end of the match. AS > AWAY SCORE (MINIMUM OF 1GOAL FROM AWAY). this means that you are placing bet that the Away team will score at least 1 goal before the end of the match. ANS > AWAY WILL NOT SCORE GOAL. this means that you are staking your bet that the Away team will not score any goal before the end of the game. 1 GG > HOME WIN AND BOTH TEAM SCORE. this means that you are staking your bet that the both team will score each other before the end of the match and also the home team must win the game even if they both score each other. so if the both team scores each other and at the end of the game, the home team won , you will be a winner but if at the end of the game, the both teams scoresdeach other and draw the game or maybe the Away team wins, then you lost the bet. the home team must win the game and also at the same time, both teams must score each other for you to win the bet. 2 GG > AWAY WIN AND BOTH TEAM SCORE. this means that you are staking your bet that the both team will score each other before the end of the match and also at the same time, Away team must win the game even if they both score each other. so if the both team scores each other and at the end of the game, the Away team won , you will be a winner but if at the end of the game, the both teams scored each other and draw the game or maybe the Home team won, then you lost the bet. the Away team must win the game and also at the same time, both teams must score each other for you to win the bet. OV1.5 HT > OVER1.5 HALF TIME(AT LEAST 2GOALS HALF TIME). this means you are placing your bet that before the end of first half, there will be at least 2 goals or more. if before the end of first half, there is up to 2 goals or more scored by any of the team, then you won the bet but if there is less than 2 goals, maybe before the end of first half, the goals scored is just 1, then you lost the bet. there must be at least 2 goals in first half for you to win the bet. UN1.5 HT > UNDER1.5HALF TIME(LESS THAN 2GOALS HALFTIME. this means you are placing your bet that before the end of first half, there will be less than 2 goals. if before the end of first half, there is up to 2 goals or more scored by any of the team, then you lost the bet but if there is less than 2 goals, maybe before the end of first half, the goals scored is just 1, then you win the bet. there must not be up to 2 goals in first half for you to win the bet. 1-2GOALS > MINIMUM OF 1 GOAL MAXIMUM OF 2GOALS. this means that you are placing your bet that there will be at least 1 goal scored as minimum and the maximum will be 2 goals. if at the end of the game, the goals scored by any team is only 1 or 2, then you won the bet but if at the end of the game, the goals scored is up to 3 or more or no goals at all, then you lost the bet. 1-3GOALS > MINIMUM OF 1GOAL MAXIMUM OF 3GOALS. this means that you are placing your bet that there will be at least 1 goal scored as minimum and the maximum will be 3 goals. if at the end of the game, the goals scored by any team is only 1 or 2 or 3 , then you won the bet but if at the end of the game, the goals scored is up to 4 or no goals at all, then you lost the bet. 1-4GOALS > MINIMUM OF 1 GOAL, MAXIMUM OF 4 GOALS. this means that you are placing your bet that there will be at least 1 goal scored as minimum and the maximum will be 4 goals. if at the end of the game, the goals scored by any team is only 1 or 2 or 3 or 4 , then you won the bet but if at the end of the game, the goals scored is up to 5 or no goals at all, then you lost the bet. 1-5GOALS > MINIMUM OF 1GOAL MAXIMUM OF 5GOALS. this means that you are placing your bet that there will be at least 1 goal scored as minimum and the maximum will be 5 goals. if at the end of the game, the goals scored by any team is only 1 or 2 or 3 or 4 or 5 , then you won the bet but if at the end of the game, the goals scored is up to 6 or no goals at all, then you lost the bet. 1-6GOALS > MINIMUM OF 1GOAL MAXIMUM OF 6GOALS. this means that you are placing your bet that there will be at least 1 goal scored as minimum and the maximum will be 6 goals. if at the end of the game, the goals scored by any team is only 1 or 2 or 3 or 4 or 5 or 6 , then you won the bet but if at the end of the game, the goals scored is up to 7 or no goals at all, then you lost the bet. 2-3GOALS > MINIMUM OF 2GOALS MAXIMUM OF 3GOALS . this means that you are placing your bet that there will be at least 2 goals scored as minimum and the maximum will be 3 goals. if at the end of the game, the goals scored by any team is only 2 or 3 , then you won the bet but if at the end of the game, the goals scored is only 1 or up to 4 or no goals at all, then you lost the bet. 2-4GOALS > MINIMUM OF 2GOALS MAXIMUM OF 4GOALS. this means that you are placing your bet that there will be at least 2 goals scored as minimum and the maximum will be 4 goals. if at the end of the game, the goals scored by any team is only 2 or 3 or 4 , then you won the bet but if at the end of the game, the goals scored is only 1 or up to 5 or no goals at all, then you lost the bet. 2-5GOALS > MINIMUM OF 2GOALS MAXIMUM OF 5GOALS. this means that you are placing your bet that there will be at least 2 goals scored as minimum and the maximum will be 5 goals. if at the end of the game, the goals scored by any team is only 2 or 3 or 4 or 5 , then you won the bet but if at the end of the game, the goals scored is only 1 or up to 6 or no goals at all, then you lost the bet. 2-6GOALS > MINIMUM OF 2GOALS MAXIMUM OF 6GOALS. this means that you are placing your bet that there will be at least 2 goals scored as minimum and the maximum will be 6 goals. if at the end of the game, the goals scored by any team is only 2 or 3 or 4 or 5 or 6 , then you won the bet but if at the end of the game, the goals scored is only 1 or up to 7 or no goals at all, then you lost the bet. 3-4GOALS > MINIMUM OF 3GOALS MAXIMUM OF 4GOALS. this means that you are placing your bet that there will be at least 3 goals scored as minimum and the maximum will be 4 goals. if at the end of the game, the goals scored by any team is only 3 or 4 , then you won the bet but if at the end of the game, the goals scored is only 1 or 2 or up to 5 or no goals at all, then you lost the bet. 3-5GOALS > MINIMUM OF 3GOALS MAXIMUM OF 5GOALS. this means that you are placing your bet that there will be at least 3 goals scored as minimum and the maximum will be 5 goals. if at the end of the game, the goals scored by any team is only 3 or 4 or 5 , then you won the bet but if at the end of the game, the goals scored is only 1 or 2 or up to 6 or no goals at all, then you lost the bet. 3-6GOALS > MINIMUM OF 3GOALS MAXIMUM OF 6GOALS. this means that you are placing your bet that there will be at least 3 goals scored as minimum and the maximum will be 6 goals. if at the end of the game, the goals scored by any team is only 3 or 4 or 5 or 6 , then you won the bet but if at the end of the game, the goals scored is only 1 or 2 or up to 7 or no goals at all, then you lost the bet. HALTTIME MORE GOALS : this means that you are staking your bet that there will be more goals scored in first half than in second half. if the numbers of goals scored in first half is more than the numbers of goals scored in second half, then you won the bet but if second half goals is more than first half goals, then you lost the bet. NO HALFTIME MORE GOALS : this means that you are staking your bet that there is not going to be any goal scored in first half . if both teams did not score any goal before the end of first half, then you won the bet but if before the end of first half, any of the teams scored, then you lost the bet. 2ND HALF MORE GOALS : this means that you are staking your bet that there will be more goals scored in second half than in first half. if the numbers of goals scored in second half is more than the numbers of goals scored in first half, then you won the bet but if first half goals is more than second half goals, then you lost the bet. HOME OV1.5 : MINIMUM OF 2GOALS FROM HOME TEAM. this means that you are placing bet that the Home Team will score at least 2 goals or more before the end of the match. if the home team scores up to 2 goals or more before the end of the match, then you won but if the home team did not score up to 2 goals or more, maybe home team only scored 1 goal before the end of the game, then you lost the bet. HOME UN1.5 : LESS THAN 2GOALS FROM HOME TEAM. this means that you are placing bet that the Home Team will not score up to 2 goals before the end of the match. if the home team did not score up to 2 goals before the end of the match, then you won but if the home team scored up to 2 goals or more, maybe home team only scored 2 goals or more before the end of the game, then you lost the bet. AWAY OV1.5 : MINIMUM OF 2 GOALS FROM AWAY TEAM. this means you are staking your bet that the Away team will score at least 2 goals or more. if the away team scores up to 2 goals or more, then you won the bet but if the away team scored just 1 goal or no goal at all before the end of the game, then you lost the bet. your major concern is for the away team to score up to 2 goals or more for you to win regardless whether they win or lose the match, so for you to win, the away team has to score up to 2 goals or more even if the home team scored up to 5 goals or win the match at the end. AWAY UN1.5 : LESS THAN 2 GOALS FROM AWAY TEAM. this means you are staking your bet that the Away team will not score up to 2 goals or no goals at all before the end of the game. if the away team did not score up to 2 goals or no goals at all, then you won the bet but if the away team scored just 2 or more goals before the end of the game, then you lost the bet. your major concern is for the away team not to score up to 2 goals or more for you to win regardless whether they win or lose the match, so for you to win, the away team must not score up to 2 goals or more even if the home team scored up to 5 goals or win the match at the end. HT/ST/ 1/1 : HOME WIN 1ST HALF & 2ND HALF. this means you are staking your bet that the home team would win both first half score and second half score. this simply means that Home team must be leading in score before first half ends and also they must be leading second half score too before it ended. if they lead first half score and draw or lost second half score, then you lost the bet. they must be leading both first half score and second half score without joining the scores from any of the half time. this means first half score is separate while second half score is also separate which implies that the score for first half will not be added to the score in second half. HT/ST/1/X HOME WIN 1ST HALF DRAW 2ND HALF. this means you are staking your bet that the home team would win first half score and Draw Second half score. this simply means that Home team must be leading in score before first half ends and then must Draw Second half score too before it ended. if they lead first half score and then lost second half, then you lost the bet. they must be leading in first half and Draw second half score without joining the scores from any of the half time. this means first half score is separate while second half score is also separate which implies that the score for first half will not be added to the score in second half. HT/ST/1/2 : HOME WIN 1ST HALF AWAY WIN 2ND HALF. this means you are staking your bet that the home team would win first half score and Away Team Would Win Second half score. this simply means that Home team must be leading in score before first half ends and Away Team must Be Leading in score Before Second half Ends Too. if they Home team leads In first half score and then Leads Or Draw second half Score, then you lost the bet. Home Team must be leading in first half and The Away Team must be leading in second half score without joining the scores from any of the half time. this means first half score is separate while second half score is also separate which implies that the score for first half will not be added to the score in second half. HT/ST/X/1 : DRAW 1ST HALF HOME WIN 2ND HALF. this means you are staking your bet that the both teams will Draw in first half score and then the Home Team must win second half score. what this implies is that, there must be draw in first half, then in second half, the Home Team must win. HT/ST/X/X : DRAW 1ST HALF AND 2ND HALF. this means you are staking your bet that both team must Draw Both In First Half And Second Half. the game must end in draw both half. this is self explanatory. HT/ST/X/2 : DRAW 1ST HALF AWAY WIN 2ND HALF. this means that you are placing your bet that both team must Draw In first half and then in second half, the Away Team must win. Both Teams must Draw in first half and The Away Team must Win in second half score without joining the scores from any of the half time. this means first half score is separate while second half score is also separate which implies that the score for first half will not be added to the score in second half. HT/ST/2/1 : AWAY WIN 1ST HALF HOME WIN 2ND HALF : This means that you are placing your bet that the Away Team Must win in first half score and then in second half score, the Home Team Must win. simply put, Away team must be leading in first half score while the home Team must be leading in second half score without joining the scores from any of the half time. this means first half score is separate while second half score is also separate which implies that the score for first half will not be added to the score in second half. HT/ST/2/X : AWAY WIN 1ST HALF DRAW 2ND HALF. this means that you are staking your bet that the Away Team must Win first half score and then in Second Half, the both team must Draw. simply put, The Away Team must be leading in score before the end of first half, then in second half, the both team must draw in score without joining the scores from any of the half time. this means first half score is separate while second half score is also separate which implies that the score for first half will not be added to the score in second half. HT/ST/2/2 : AWAY WIN 1ST HALF AND 2ND HALF. this means you are staking your bet that the Away Team would win both first half score and second half score. this simply means that Away Team must be leading in score before first half ends and also they must be leading second half score too before it ended. if The Away Team Is leading in first half score and draw or lost second half score, then you lost the bet. they must be leading both first half score and second half score without joining the scores from any of the half time. this means first half score is separate while second half score is also separate which implies that the score for first half will not be added to the score in second half. X AND GG : DRAW AND BOTH TEAM SCORE. this means that you are staking your bet that the both team must Draw before the end of the match and also the both team must score each other too at the same time. 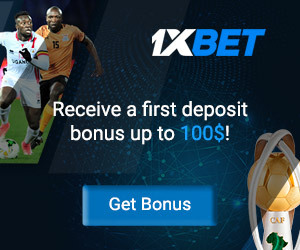 this is different from the other one because there is no form of double chance in this bet type because the two option must be present for you to win the bet. the game must end in draw and also it must end with goal goal from each team. if for example, the game ended in draw with maybe a score of 1-1, then you won the bet but if supposing the game ended in draw with maybe 0-0, then you lost the bet because the both team only ended the match in 0-0 Draw but no goals was scored on each side which means there was no goal goal from each teams. so for you to win the bet, both team must draw and also there must be goal goal which must be in draw of maybe 1-1, 2-2, 3-3. X AND NG : DRAW AND NO GOAL. this means you are placing your bet that both team must Draw and also it must be without goals. the both teams must not score each other and the match must end in Draw. simply put, the match must end with either draw of maybe 0-0 for you to win the bet. if the match ended with maybe 1-1 or 2-2 or 3-3, then you lost the bet even if the both team ended with Draw. 1XHT : HOME WIN OR DRAW 1ST HALF . this means you are placing your bet that Home Team would win or Draw first half score only. if the Home Team wins the first half score , you won the bet. if they also Draw first half score, you still won the bet. so your major concern is first half score, either the Home Team must win first half or Draw first half only. 12HT : ANY TEAM WIN 1ST HALF TIME. this means you are placing your bet that Any Of the Team would win first half score only. if any of the Team wins the first half score , you won the bet. if they Draw first half score, you lost the bet. so your major concern is first half score, either the Home Team or Away Team must win first half first half only for you to win the bet. you don't have any concern to wait for second half game because your major concern is only first half time. X2HT : AWAY WIN OR DRAW 1ST HALF . this means you are placing your bet that the Away Team would win or Draw first half score only. if the Away Team wins the first half score , you won the bet. if they also Draw first half score, you still won the bet. so your major concern is for the Away Team to Win first half score only, either the Away Team must win first half or Draw first half only. its a kind of double chance for you. 12ST : ANY TEAM WIN 2ND HALF. this means you are placing your bet that Any Of the Team would win second half score only. if any of the Team wins the second half score , you won the bet. if they Draw Second half score, you lost the bet. so your major concern is Second half score, either the Home Team or Away Team must win Second half only for you to win the bet. you don't have any concern to wait for First half Score because your major concern is only Second half time. X2ST : AWAY WIN OR DRAW 2ND HALF. this means you are placing your bet that the Away team would win or draw second half score. if they won second half, you won the bet and also if they Draw second half score, you still won the bet. so its a kind of double chance for you. your major concern is for the Away team to win or Draw second half score only. 12 AND GG : ANY TEAM WIN AND BOTH TEAM SCORE. 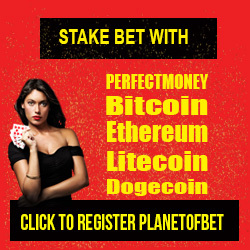 this means you are staking your bets that any team would win the and also there must be goal goal from each team. this simply means that even if any team won before the end of the match, both teams must also score each other too for you to win the bet. so if any team won the match but there is no goal goal from each team, then you lost the bet. 12 AND NG : ANY TEAM WIN AND NO GOAL. this means you are staking your bets that any team would win the match and also there must not be goal goal from each team. this simply means that even if any team won before the end of the match, both teams must not also score each other too for you to win the bet. simply put, if any team won the bet, at least the both team must not score each other for you to win the bet. for example, if Home Team Wins the match with maybe 1-0, then you won the bet because only the home team scored before the end of the match and they won but if home team won the match with maybe 2-1, then you lost the bet because both teams scored each other. same also applies to the Away team if they won the match without each of the team scoring. this means only one team must win the match without the other team scoring. 1X AND NG : HOME WIN OR DRAW AND NO GOAL. this means that you are staking your bet that the Home Team must win or Draw the match and also there must not be goal goal from each team. this simply means that even if the Home Team Wins or Draw The Match, the both teams must not score each other for you to win the bet. only the Home Team is expected to Win the match or Draw. if for instance, the Home Team won the match with maybe 1-0, then you won the bet because they won without the other team scoring any goal and also if supposing the Home Team Draws the match with maybe 0-0, then you won the bet because they ended in 0-0 Draw without any team scoring each other. but if maybe the Home Team Won the match with maybe 2-1, then you lost the bet because both of the teams scored each other and if also Home Team Draws the match Witt Maybe 1-1, 2-2 or 3-3, then you lost the bet too because the home team draws but both teams scored each other. X2 AND GG : AWAY WIN OR DRAW AND BOTH TEAM SCORE. this means that you are placing your bet that the Away Team must Win or Draw the Match and also the both teams must score each other. this means that there must be Goal Goal from each team and the Away Team must either Win or Draw at the same time. the Odd for this type of bet is usually High. X2 AND NG : AWAY WIN OR DRAW AND NO GOAL. this means that the Away Team must either Win Or Draw the match and at the same time, both teams must not score each other. only the Away Team is expected to Win or Draw and at the same time the both teams must not score each other. for example, if the Away Team won the match with maybe 0-1 or Draw with maybe 0-0, then you won the bet because even if they won with 0-1, the both teams did not score each other, so you won the bet. same also applies with Draw Of 0-0 because the Away Team draws the match without both teams scoring each other. GG HT : BOTH TEAM SCORE 1ST HALF. this means that you are placing your bet that both teams must score each other before the end of first half time. so if they ended up with scoring each other goal goal before first half, then you won the bet. this means that your major concern is first half score. NG HT : NO GOAL 1ST HALF. this means that both teams will not score each other in first half time. if only one teams scored before first half with maybe 1-0, then you won the bet because the both teams did not score each other goal goal. only one team must score. GG ST : BOTH TEAM SCORE 2ND HALF. this means that you are placing your bet that both teams must score each other before the end of second half time only. so if they ended up with scoring each other goal goal before second half, then you won the bet. this means that your major concern is second half score. NG ST : NO GOAL 2ND HALF. this means that both teams will not score each other in second half time only. if only one team scored before second half with maybe 1-0, or 0-1 then you won the bet because the both teams did not score each other goal goal. only one team must score to win the bet. ODD : 1 OR 3 OR 5 OR 7 OR 9 OR 11 OR 13 OR 15 GOALS. this means that you are staking your bet that the match will end with an ODD score line. simply put, it means that the match must end with odd score line of maybe 1-0, 2-1, 3-2, 3-0 etc. any number it ends with must not be divide by 2. guess we both understand odd numbers back then in school. any number that cannot be divided by 2 without extra 1 remaining is an odd number. for example, 1 is an odd number because it cannot be divided by 2. also, 3, 5, 7, 9, 11, 13 etc are all odd numbers because they cannot be divided by 2 without an extra 1 remaining. if you divide 3 by 2, it will remain 1 standing. same goes for the rest odd numbers. so for you to win the bet, the match scoreline must end with odd numbers of maybe 1-0, 2-1, 3-2, 3-0, 5-0, 5-2, 4-3 because when you add them together, it gives you odd number. when you add 2-1 together, it gives you an odd number 3. when you add 3-2 scoreline together, it gives you an odd number 5.
so the match scoreline should be your main focus in this type of bet. if the game ended with scoreline of maybe 2-2, 3-1, 5-1 when you add the scoreline of 2-2, it gives you 4 and 4 can be divided by 2 without an extra 1 remaining and this is known as even number. also when you add scoreline of 3-1, it gives you 4 which is an odd number. same goes for a scoreline of 5-1 because it gives you 6 when you add them together and it can be divided by 2 without extra 1 remaining. any number that can be divided by 2 is known as EVEN number which i will explain in the next bet type. EVEN : 2 OR 4 OR 6 OR 8 OR 10 OR 12 OR 14 GOALS. this means that you are staking your bet that the score line in the match before it ended is going to be an EVEN Number. even numbers are numbers that can be divided by 2 without 1 remaining as seen on Odd Numbers. examples of EVEN number includes 2, 4, 6, 8, 10, 12, 14, 16, 18, 20 etc. just keep on adding 2 to the number, the outcome will be an EVEN Number. so when you divide it by 2, it gives you EVEN number without remainder of 1. with this example, lets use it on the football match. before the match ended, if the score line is maybe 1-1, 2-0, 3-1, 4-2 etc. when you add the score line together and it gives you an EVEN number, then you won the game. if we were to add the example score together, 1-1, it gives you 2 which is an even number. same applies for the rest score line in any match.. a score line of 2-0, when added together 2+0, it gives you 2 which is an even number. a score line of 3-1, when added together 3+1, it gives you 4 which is an EVEN Number. when you add the score line 4-2 together, 4+2, it gives you 6 which is an EVEN number. so any scoreline that is being added together must give you an EVEN Number for you to win the game regardless how many goals are being scored. you will lost the bet if the scoreline ended with an ODD numbers of maybe, 1-0, 2-1, 3-0, 2-3, 3-4, 4-1, 5-0, 5-2 etc because if you divided them by 2, there will always be a remainder of 1 which is a sign of an ODD number. please take note of this when placing bets on EVEN Numbers. ODD HT : 1 OR 3 OR 5 OR 7 OR 9 OR 11 OR 13 OR 15 GOALS 1ST HALF. this means you are placing your bet that the score line in first half only will be an ODD number. if before the end of first half, the scoreline is maybe 1-0, 2-1, 3-2, 5-2. as usual, like explained in ODD number bet type, when you add the scoreline from both teams together, if it gives you an ODD number, then you won. in this case, if the scoreline in first half gives you an ODD number, then you won.example scoreline of maybe 1-0, when added together 1+0, it gives you 1 which is an ODD number. example 2-1 scoreline, when added together 2+1, gives you 3 which is an ODD number. same also applies for the rest score line. just add them together and if the scoreline result gives you an ODD number in first half only, then you won the bet but if it gives you an EVEN number, then you lost the bet. EVEN HT : 2 OR 4 OR 6 OR 8 OR 10 OR 12 OR 14 GOALS 1ST HALF . this means you are placing your bet that the score line in first half only will be an EVEN number. if before the end of first half, the scoreline is maybe 1-1, 2-0, 2-2, 5-3. as usual, like explained in EVEN number bet type, when you add the scoreline from both teams together, if it gives you an EVEN number, then you won the bet. in this case, if the scoreline in first half gives you an EVEN number, then you won.example scoreline of maybe 1-1, when added together 1+1, it gives you 2 which is an EVEN number. example 2-0 scoreline, when added together 2+0, gives you 2 which is an EVEN number. same also applies for the rest score line. just add them together and if the scoreline result gives you an EVEN number in first half only. then you won the bet.remember that any number that can be divided by 2 without remainder of 1 is EVEN number. but if after adding the scoreline together and it gives you an ODD number, then you lost the bet. EVEN ST : 2 OR 4 OR 6 OR 8 OR 10 OR 12 OR 14 GOALS 2ND HALF. this means you are placing your bet that the score line in first half only will be an EVEN number. if before the end of Second half, the scoreline is maybe 1-1, 2-0, 2-2, 5-3. as usual, like explained in EVEN number bet type, when you add the scoreline from both teams together, if it gives you an EVEN number, then you won the bet. in this case, if the scoreline in Second half gives you an EVEN number, then you won.example scoreline of maybe 1-1, when added together 1+1, it gives you 2 which is an EVEN number. example 2-0 scoreline, when added together 2+0, gives you 2 which is an EVEN number. same also applies for the rest score line. just add them together and if the scoreline result gives you an EVEN number in Second half only. then you won the bet.remember that any number that can be divided by 2 without remainder of 1 is EVEN number. but if after adding the scoreline together and it gives you an ODD number, then you lost the bet. HOME OV0.5 : MINIMUM OF 1 GOAL FROM HOME TEAM. this means that you are staking your bet that the home team must score a minimum of 1 goal or more before the end of the match. if the home team scores up to 1 or more goals before the end of the match, then you win the bet. but if they did not score any goal before the end of the match, then you lost the bet even if the Away Team won the match by scoring more than 1 goals. for example, if the score line is maybe 1-1, you won the bet because home team scored 1 goal but if before the end of the match, the score line is maybe 0-1 or 0-2 or 0-3, then you lost the bet because the home team did not score any goal. HOME UN0.5 : LESS THAN 1 GOAL FROM HOME TEAM . this means that you are staking your bet that the home team must not score any goal before the end of the match. if the home team scores did not score any goals before the end of the match, then you won the bet. but if they scored up to 1 goal before the end of the match, then you lost the bet even if the Away Team won the match by scoring more than 1 goals. for example, if the score line is maybe 0-1, you won the bet because home team did not scored any goal but if before the end of the match, the score line is maybe 1-1 or 1-2 or 2-0, then you lost the bet because the home team scored at least 1 goal. AWAY OV0.5 : MINIMUMOF 1GOAL FROM AWAY TEAM. this means that you are staking your bet that the AWAY team must score a minimum of at least 1 goal or more before the end of the match. if the AWAY team scores up to 1 or more goals before the end of the match, then you win the bet. but if they did not score any goal before the end of the match, then you lost the bet even if the Home Team won the match by scoring more than 1 goals. for example, if the score line is maybe 1-1, you won the bet because AWAY team scored 1 goal but if before the end of the match, the score line is maybe 1-0 or 2-0 or 3-0, then you lost the bet because the AWAY team did not score any goal. for now i believe you've understand the various, bet9ja codes and their meaning. 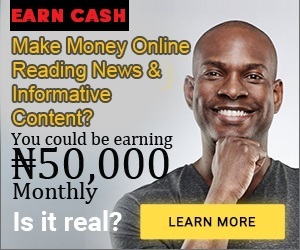 as time goes on, i will update this post with more bet9ja signs and meaning, make sure to subscribe to this blog via email so you will be among the first to receive my latest update when ever i make new post. 57 Responses to "Bet9ja Codes And Their Meaning : Well Explained"
correct score means you want to stake your bet that the game will end with the score you predicted. if you stake your bet that a match will end with correct score of home team scoring 2 and away team scoring 1 which is 2-1. if the game ended with the same score you predicted, then you won the bet but if maybe the match ended with maybe 1-2, then you lost the bet because the score is not correct as you predicted even if the match ended the opposite. what do SUBTITUTION mean, when placing your bet please! please what is the meaning of "Goals Home & Away"? I placed a bet on GG,why am I seeing (GG/NG) on my bet slip? What is the meaning of H Score, and A Score. what does away team wins either halves mean? DNB means Draw No Bet. this means that you have to select which team will win. if the match ended as draw, you get your stake back. pls whats d difference btw: 3 combo ov and 3 chance mix? it means that home team either win or draw the game but the game must end with both team scoring each other. the both team must have goal goal but home team should win or draw the game. this means that the game must not end with 0-0 or 1-0. there must be goal from both team and home team either win or draw at the end. it means home team is giving 1 goal ahead of the game. Thanks a lot this will really guide me while betting. goal goal means the both team must score each others if you selected yes. while if selected no, then the both team must not score each others. in this case of NO, it means even if one of the team leads the game, the other team must not score.